Crown Plaza Surya is in the heart of New Delhi and is a 30-minute drive from the international airport and close to Delhi's business centres including Nehru Place, Trade Fair Grounds, Okhla and Noida. 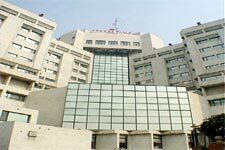 Nearby shopping facilities include Connaught Place and Lajpat Nagar. The hotel is an ideal base from which to explore the tourist and historical attracti ons of the city. Crowne Plaza Surya offers 182 Rooms, 11 Premium Class Suites and 2 Presidential suites. 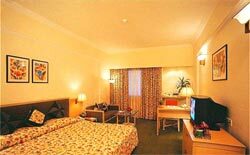 It has an exclusive Club Floor, the Crowne Plaza Club, which is designed specially for top executives.